The coming weeks, XVR Simulation is present at both the Belgian INFOPOL|XPO112 as well as the FDIC International in Indianapolis, USA. The INFOPOL|XPO112 exhibition takes place every two years. 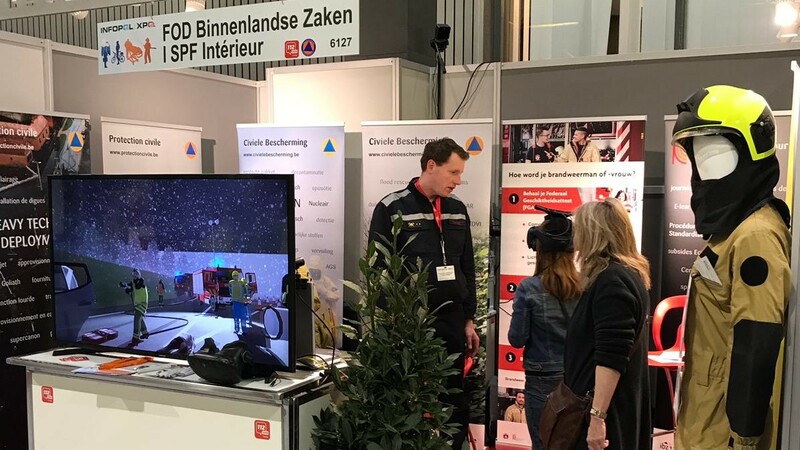 This edition, XVR Simulation will be exhibiting together with the department of internal affairs of the Federal government of Belgium. At the booth they will be displaying innovative ways to train and exercise in XVR with the HTC Vive. The INFOPOL|XPO112 takes place 2 – 4 April.